St. John the Baptist has a long history in Northern California. Our community traces is roots back to the 1860s, only a few years after the town of Chico was founded. Officially established as a parish in 1878, the parishioners of St. John the Baptist made possible the construction of the church building in 1908. As a community we celebrated the centennial of the building in 2008 and Notre Dame School celebrates 90 years in 2019. Today we continue to come together for worship and fellowship. If you are new here, we welcome you. If you are a second or third generation parishioner, we are grateful for you. 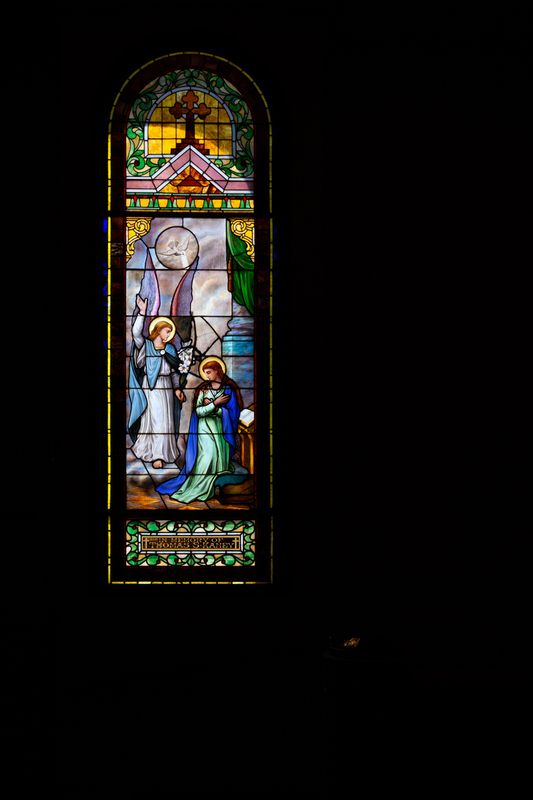 The church building is historical and The stained glass windows were made in Italy by an unknown artist in 1908, in time for the dedication of the building in May of 1910. The windows in the church show the scenes of the original decades of the Rosary. The Joyful Mysteries are along the south side of the building and the Sorrowful Mysteries are along the north side. The Glorious Mysteries are placed throughout the church, culminating in the Ascension window on the east entrance of the church. 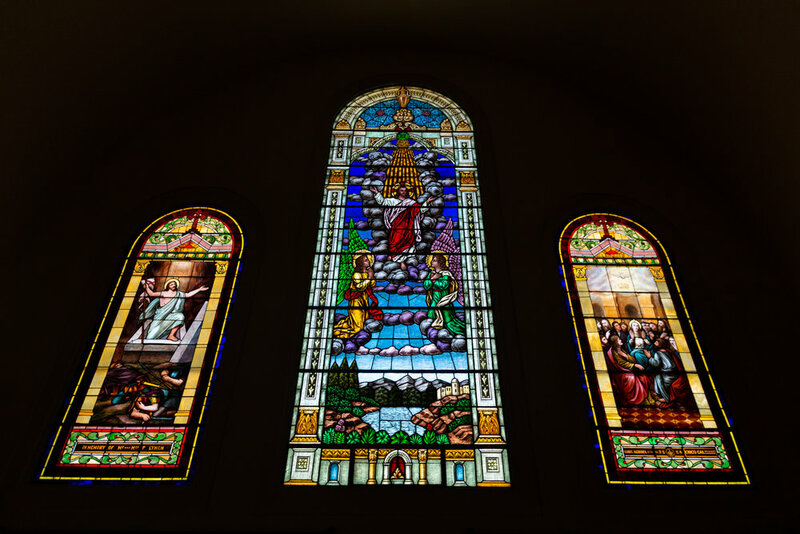 The commissioning of the artwork was made possible through sponsorship of each window from parishioners of St. John the Baptist. These individuals or families are named below the windows in the church. If you would like to read more about the history of St. John the Baptist, you can download a PDF of Pulpit and Pew: A Centennial History of St. John the Baptist Catholic Parish.